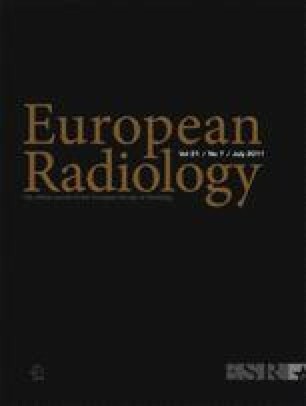 The aim of this pilot study was to test and demonstrate the feasibility of simultaneous positron emission tomography (PET) and magnetic resonance imaging (MRI) of the head and upper neck area using a new hybrid PET/MRI system. Eight patients with malignant head and neck tumours were included in the pilot study. Directly after routine PET/CT imaging with a whole-body system using the glucose derivative 2-[18F]fluoro-2deoxy-D-glucose (FDG) as a radiotracer additional measurements were performed with a prototype PET/MRI system for simultaneous PET and MR imaging. Physiological radiotracer uptake within regular anatomical structures as well as tumour uptake were evaluated visually and semiquantitatively (metabolic ratios) in relation to cerebellar uptake on the PET/MRI and PET/CT systems. The MR datasets showed excellent image quality without any recognisable artefacts caused by the inserted PET system. PET images obtained with the PET/MRI system exhibited better detailed resolution and greater image contrast in comparison to those from the PET/CT system. An excellent agreement between metabolic ratios obtained with both PET systems was found: R = 0.99 for structures with physiological tracer uptake, R = 0.96 for tumours. Simultaneous PET/MRI of the head and upper neck area is feasible with the new hybrid PET/MRI prototype. Andreas Boss and Lars Stegger equally contributed in the authorship. We would like to thank the staff of the cyclotron and radiochemistry facilities of Tübingen University and all contributing members of Siemens Healthcare for the continuous support. Furthermore, we acknowledge Heinz-Peter Schlemmer, Thomas Nägele, Roland Bares, Ulrike Ernemann, Martin Heuschmid, Matthias Hofmann, Matthias Reimold and Frédéric Mantlik for their contributions. Financial research support was provided through the “Deutsche Forschungsgemeinschaft” (grants PI771/5-1 and PI771/1-1, and SFB 656 Münster, project C6) as well as through the Swiss Werner Siemens-Foundation. Part of this work was supported by the Herzzentrum Münster e.V. (travel grant to L.S. ).